The CompTIA A+ 220-901 exam typically asks candidates to identify connectors, cables, and other system components using photographic exhibits. 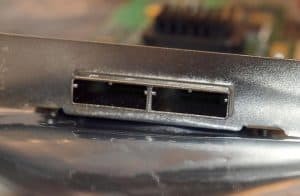 During a recent Windows 10 course one of our instructors was asked about the difference between a SATA and a SAS connector. While the question is somewhat esoteric and unlikely to be found on the CompTIA exam, it is worthy of an explanation and perhaps a picture or two just in case you run into a SAS connector while supporting personal computer systems. SATA stands for Serial Advanced Technology Adapter and is a connection type used for a wide array of personal computer devices. 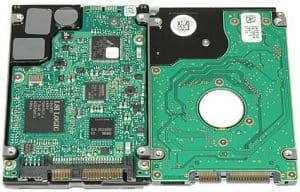 SATA is a form of Integrated Drive Electronics, which identifies the controller as being integrated with the device and requires only a simplified circuit on the motherboard. SAS stands for Serial Attached SCSI, a replacement for the older Parallel Small Computer System Interface technology. You can find a historical description of SCSI, ATA, SATA, and SAS on Webopedia from which you can research further differences, although the details are less relevant to exam candidates. 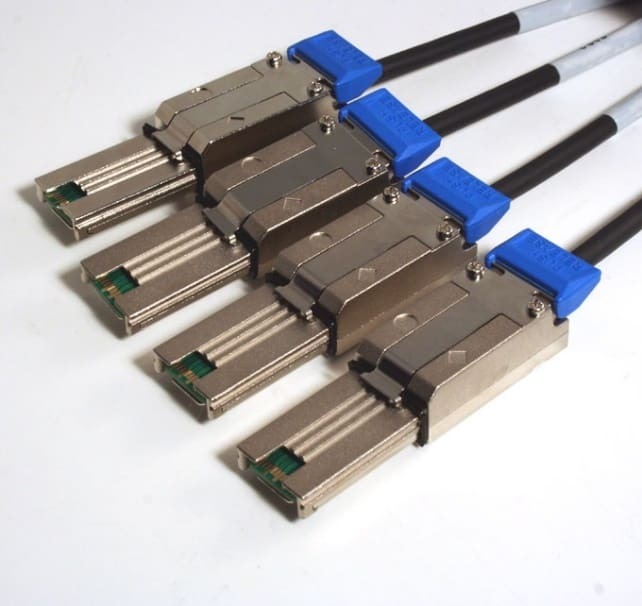 SATA and SAS use full-duplex, switched serial, point-to-point connections. 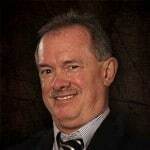 There is no need to manually assign device IDs or terminate connections as with the Parallel SCSI solution. Both SATA and SAS facilitate device hot plugging (although caution should be exercised to prevent static discharge). 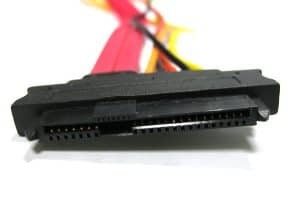 Both SATA and SAS use the same pinout for data and power connections, although the connectors themselves are slightly different. The SATA connection requires two connectors, one for data and one for power. The SAS connection merges power and data into a single edge connected cable. The seven pin SATA data cable terminates with an L-notched connector with which all CompTIA A+ candidates must be familiar. The SATA power connector has 15 pins, and also terminates with an L-notched connector. 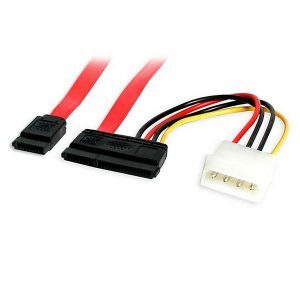 The SATA power connector may be provided directly from the power supply, or via a Molex or mini-Molex cable converter. (A mini-Molex converter is shown below). 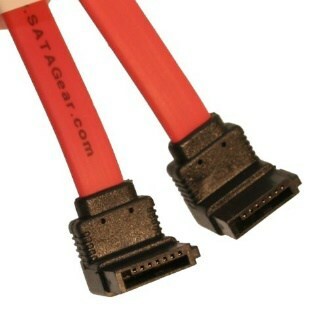 The SATA data and power cables may be installed independently or as a coupled connector (as shown). 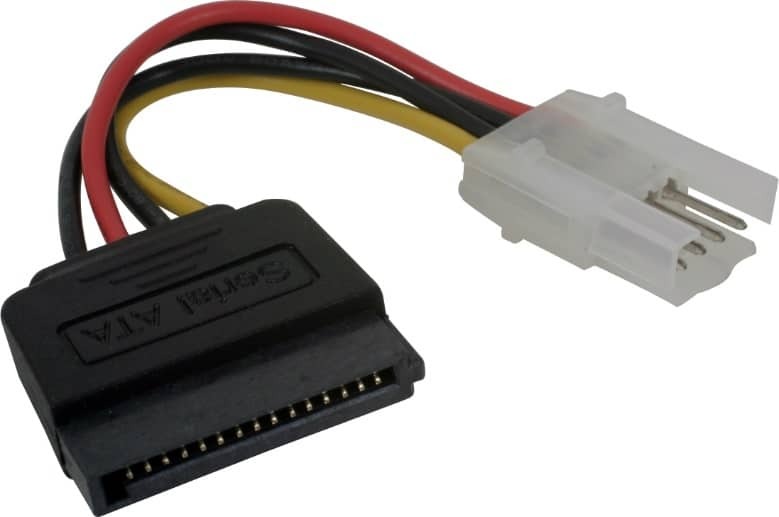 This latter configuration leads to confusion with the SAS connector, which looks similar to the joined SATA connector. An early SAS connector is shown below. When viewed side by side, it is easier to tell the difference between as SAS and a SATA device. SAS on the left and SATA on the right. Note the single edge for the SAS connector, and the split between the SATA data and SATA power connections. Although you may still find the single edge SAS cable in use, most SAS solutions are migrating to the mini-SAS connector and port, which looks quite different (as shown in the two images below). Mini-SAS expansion cards supporting 4 or 8 ports are becoming rather popular for RAID (random array of independent disk) implementations that enable both greater I/O performance and component redundancy.